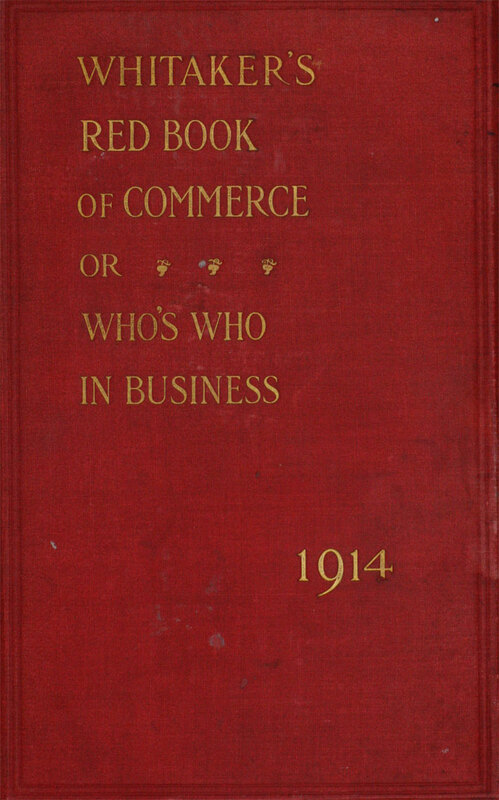 Whitaker's Red Book of Commerce or Who's Who in Business. Published in 1914. 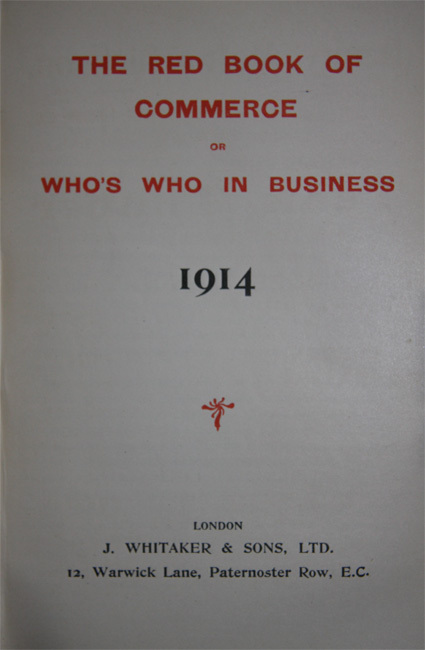 Note: For an alphabetical list of the company names see: 1914 Who's Who in Business. This page was last edited on 30 March 2016, at 16:12.